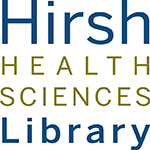 It’s been a little bit since my last post on Hirsh Library Statistics, which means it’s time again! So pour your favorite caffeinated beverage, grab a plate of free food (statistically speaking, there’s free food somewhere in this building right now), and relax as I offer you some numbers and information that you will not be tested on. 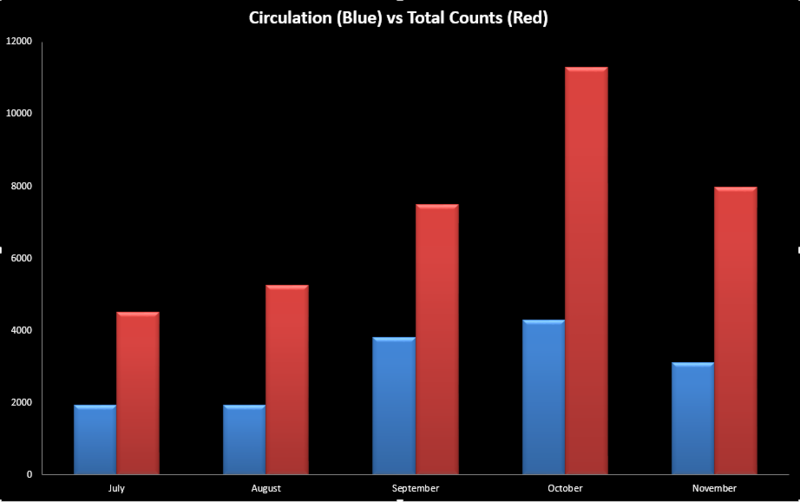 So, first up: we’ve actually held relatively steady this year as compared to last year, in terms of circulation and head counts. This probably comes as a surprise to everyone who has only been busier every year (I know I have), but there are always environmental factors to account for. For instance, if everyone’s using ebooks, they don’t need to check things out of Reserve, and in the numbers it looks like we’ve gone down. But our Open Workshops, librarian consultations, and even on the fly assistance at the Service Desk have all been super busy. So I want you to keep that in mind as you read on: everything requires a grain of salt. Also to keep in mind, these numbers will be from July 1, 2017 to May 31, 2018. The most interesting ones are smack in the center of the school year, though. For instance: our single busiest circulation day of the year was October 4th, when we were averaging a checkout every 5 minutes. That’s nutty! And that doesn’t account for all of the research assistance, troubleshooting, or item returns. 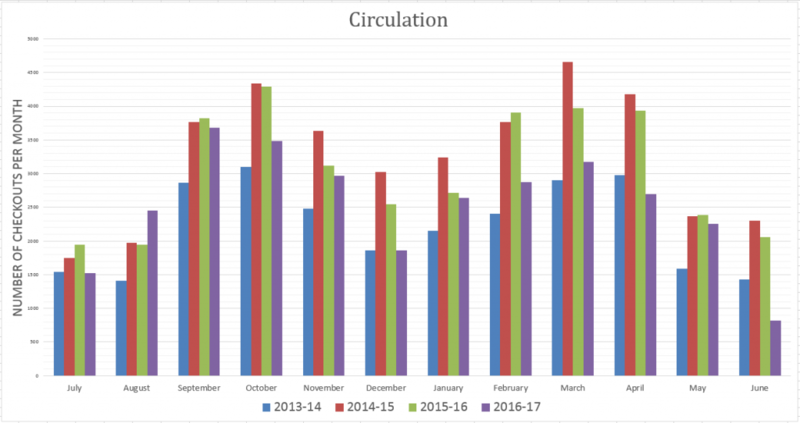 Of the top 10 spots for busiest Circulation day of the year, 4 are in October (which accounts for the top 3 spots), 3 are in September, and then the remainder is split between November, February, and March (there was a tie for #10). Yes, that’s right. February. February! Here, let me shock you: This year, the busiest month was October, at 3412 checkouts. Second place went to September at 2983, but the shocker is February as third place and 28868. Third! I’m glad that you all love our library so much more than the cold February weather, because dang. Okay, so that’s the overall look of things. The blue bars are the total numbers of times we’ve checked things out, and the red bars are the total numbers of people we’ve counted in the library. Things to know: the blue bars do not count the number of people, just number of checkouts (we don’t have a way to count number of people who have checked things out). And the red bars require staff to physically walk around, so there’s an element of human error in there. But still, what a snapshot! 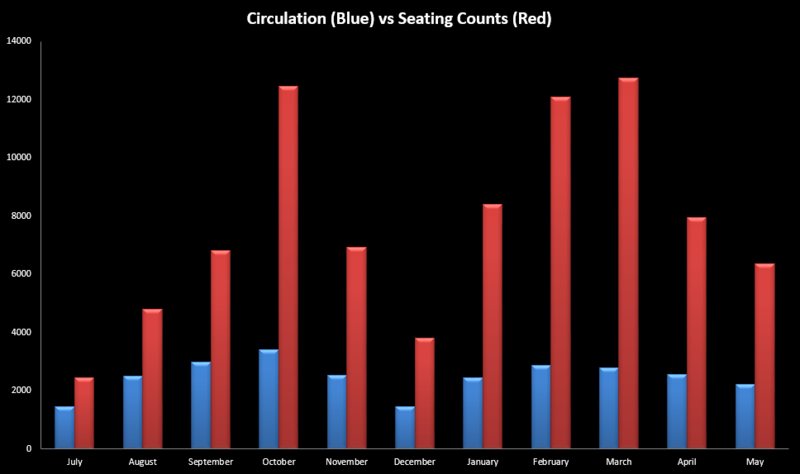 You may also notice that October, while still very full, was actually not the top spot in seating counts. That honor goes to March, and my best guess would be “exam season.” But October cinched its second place spot, followed (again!) by February in third. Each one of those months is over 12,000 people sitting in the library, by the way. 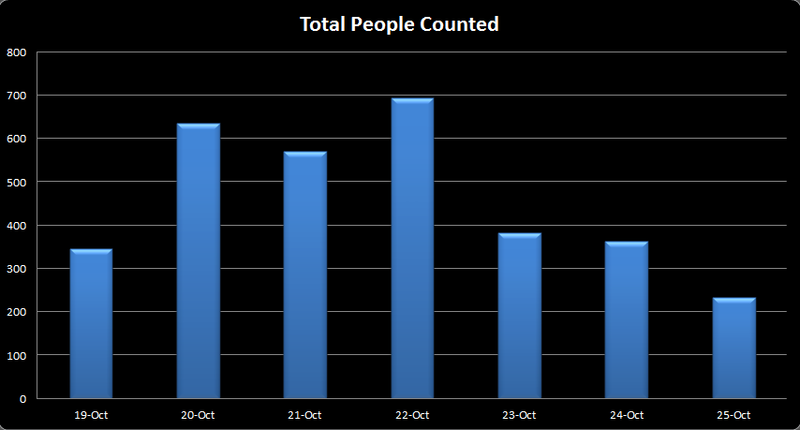 And in case you’re wondering, October did have the single busiest day for those, at 2,590 people on the 29th. February comes in second place here, with 1,057. Okay, so I know what you’re thinking. “Tom, what about all those times we were asked what program we were with? What’s the deal with that?” Well good news, I have the deal with that! 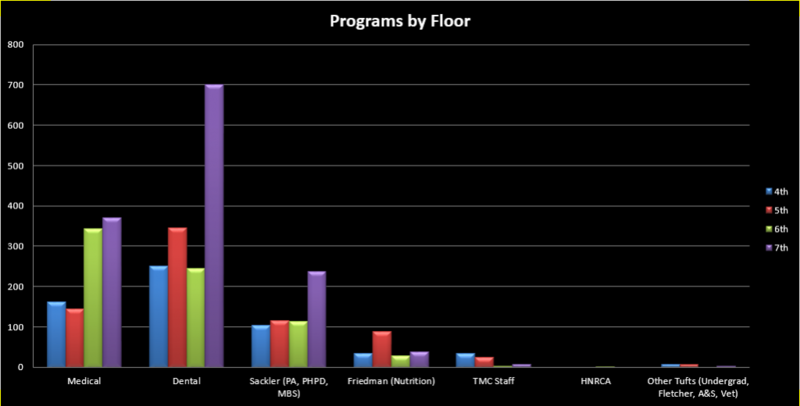 For those who might not remember: HHSL staff walked around a few times a day, 7 days in the month of October and again in March, in an effort to find out how much the various programs use our library space, and we got some neat data. Behold! That’s a whole lot of people. 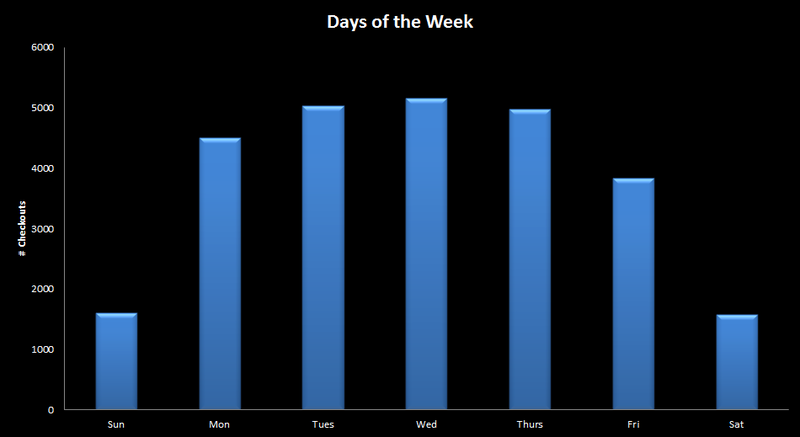 That top chart focuses on the day of the week of a given count, and the bottom compares each program. I find that shift from being busier earlier in the week to being busier in the latter half rather interesting, although I don’t know if I can find a particular reason for it. Timing of exams, perhaps? The second chart has my attention, however. Look at some of those numbers! I wonder what happened with the PHPD and MBS numbers, though. I do know that their exams did not quite line up with our counts the way that Dental and Medical’s did, so if I had to guess I’d say that it was just an issue of two or three weeks. Crazy how much of a difference that makes! 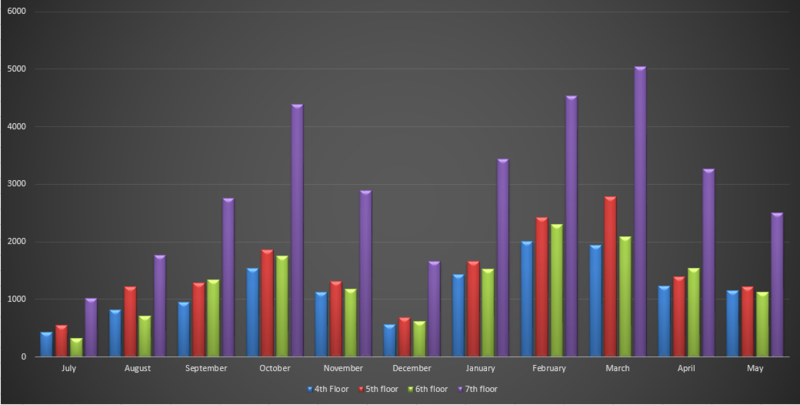 Finally, I will leave you with this chart, which goes to show just how much people love the 7th floor. Fun fact about this one: when you look at the numbers, the 7th floor is consistently twice as populated as any other floor. No wonder some people have trouble finding study cubicles – they’re always full! 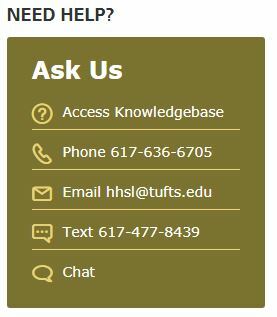 If you want to get a little deeper into this all, or have any questions about it, I am at the the HHSL Service Desk five days a week, and am always happy to talk shop. Otherwise, I hope you’re all enjoying the weather, and I look forward to seeing what the next year brings us! Hello everyone! It’s been a bit since the last time I did an annual round-up of the data I have for the library, and I thought it was high time to do another one. Especially given how much things have changed these last few years. And what interesting changes! First thing is first, of course: what were the fullest days in the library this past year? There are actually two answers! 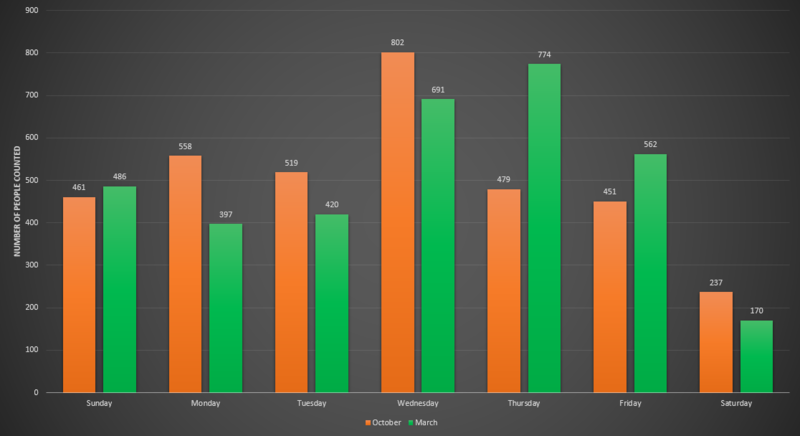 On both December 6th and April 4th we counted 950 people sitting in the library. 950! That’s nuts! A neat side fact: both of those days are Tuesdays, and both were the Tuesday after the second weekend of Extended Hours in their respective semester. Either blind chance was on our side those days, or Tufts is big on keeping the same exam style no matter what. Go figure. 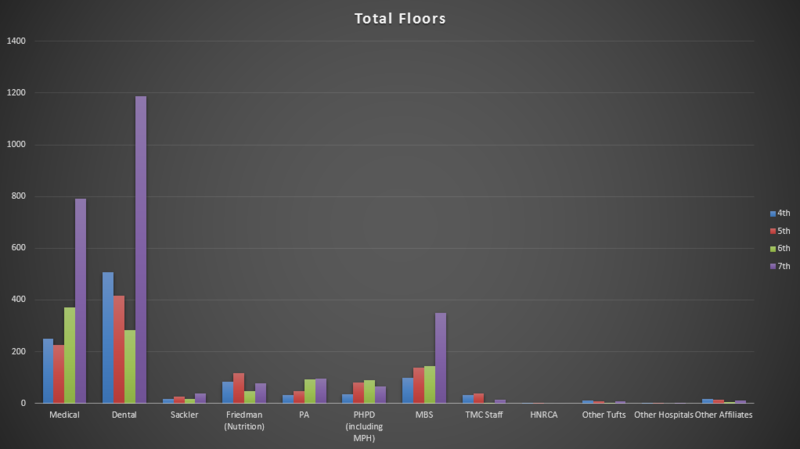 Incidentally, this year I became curious about how busy the floors were when compared with each other. The answer is this rather silly looking chart. See that purple there? That’s the 7th floor. It was twice as busy as the 6th floor. Twice! We counted people 35,000 times on the 7th floor this last year! The others don’t even come close. Obviously, part of this can be explained by the fact that we added so much new furniture last year, but that’s not the entire story. I think it’s safe to say that students around here just really like their quiet space to study. 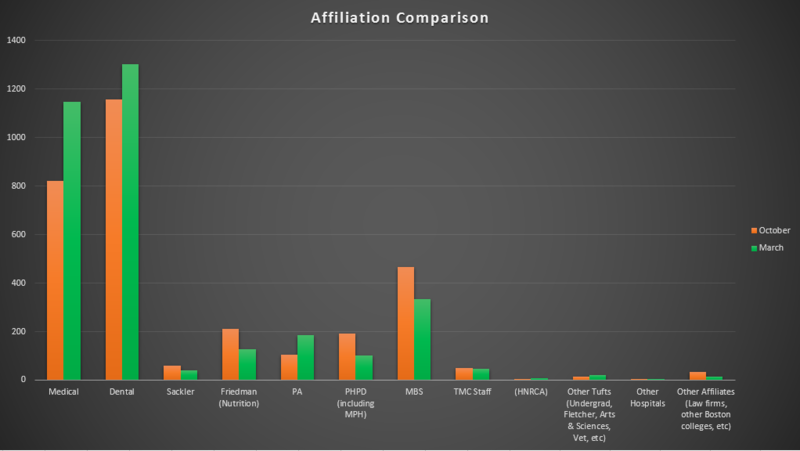 “But Tom,” you ask, “how do these kinds of numbers compare with past years?” Well I’m glad you asked that, HHSL Blog Reading Person, because I have an answer for you! 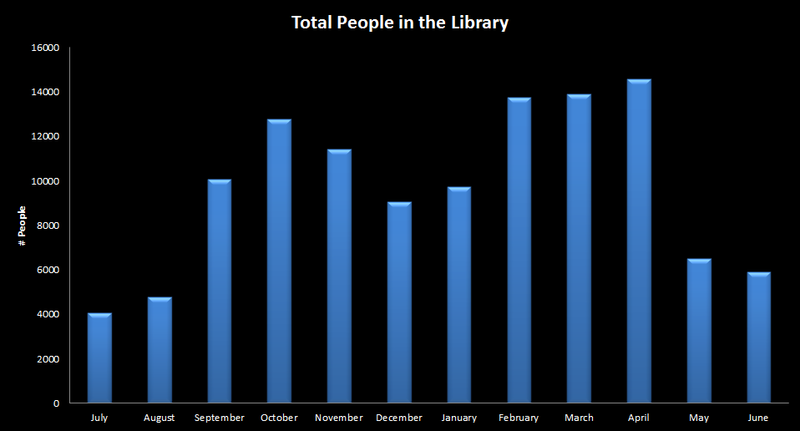 The chart below is the total number of people we’ve counted in the library, by month, over the last 4 years. The purple would be this year. It looks like a lot, but you can see the same sort of wave formation every single year – we start off slow in the summer, get busy in the fall, slow down in the winter (we only get about half of December’s days counted due to the break, and January starts off slowly anyway), and then the whole thing picks back up in time for all the exams, only to slow back down in June. What does this tell us, then? Well, we’ve been busy. We’ve been very busy. As you can see, everything sort of spiked back in 2014-2015, but this year was consistently busier than the year before it. July and August were the exceptions, but I’m certain that March and April more than make up for those. Seeing these numbers go up and down over the years presents an interesting thought challenge: why do they fluctuate so much? Well, a little of it is human error, a little bit is due to changes in how we collect this data, a little of it is the way the programs on campus have been changing and adapting (which means the student body has been adapting), and part of it is sheer environmental factors. Snow days, for instance, or the way holidays fall – if we’re closed, we won’t be counting anybody! Note: We got a new circulation system in June 2017, so the numbers got interrupted. You would be right. And you’re about to really enter the head-scratcher. Somehow we were insanely full this year, while also having our second slowest year of checkouts since we started collecting these numbers this way. 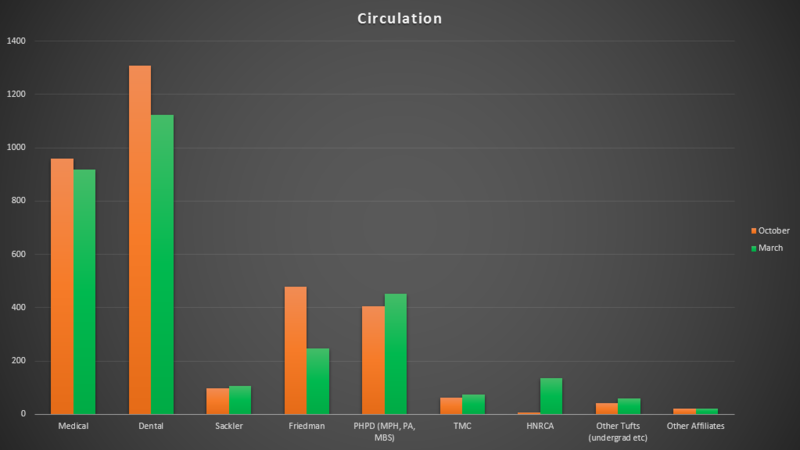 We have a ton of new resources for you, but circulation is down? Let me share the secret answer: the Internet. HHSL is constantly searching out new digital books, journals, and databases for everyone on campus, which means our physical books are not in as high demand as they used to be. 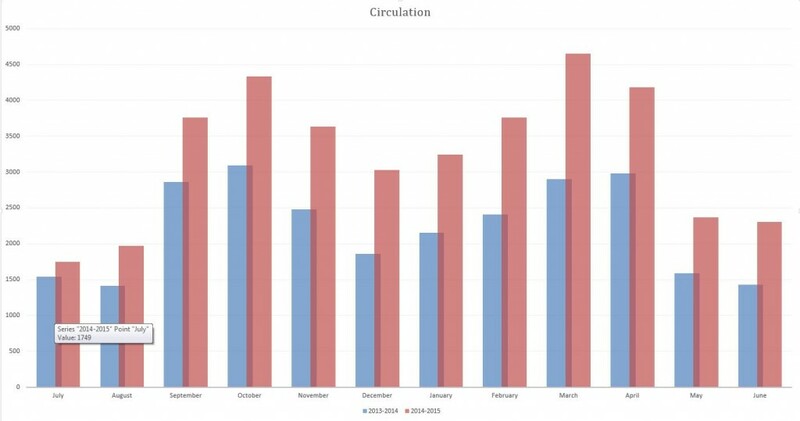 So while the overall circulation is down, what is circulating is getting checked out like mad – for instance, our phone chargers alone registered 8,000 checkouts this year. The busiest year yet for them! In case you were curious (I know you were) the most checkouts we had in a single day was 210 checkouts, which belongs to Wednesday, October 5th. 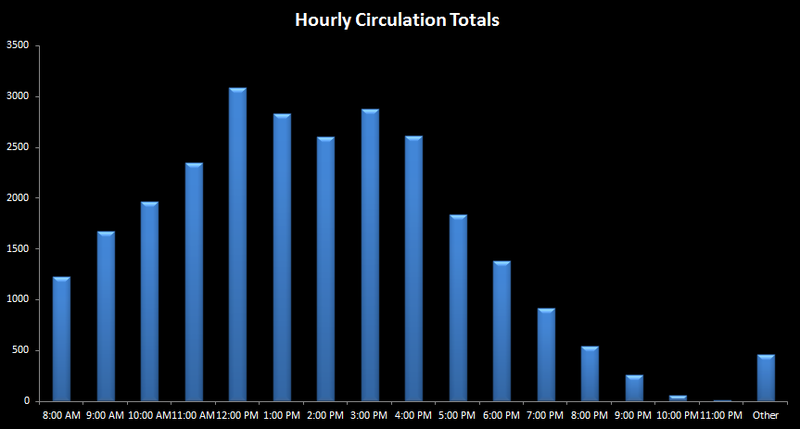 9 out of the 10 busiest circulation days were in the fall (with February 27th clocking in at #7). That particular information doesn’t really tell us much, but it’s fun to know all the same. For the record, “busiest circulation day” is only in reference to amounts of checkouts (and subsequent check-ins) in a given day. It doesn’t count all of the times that librarians have a consultation with someone to help with research, or the times that the library staff at the Service Desk troubleshoot or help you find articles, or all the direction given, or printing problems fixed, or on-the-fly assistance with programs like EndNote…it’s a helpful metric, but it’s not the full story. Heck, it’s missing the craft events! You can’t have a complete picture without those. All of these numbers are pieces to a puzzle, and it’s one we’re always working on here. You’re looking at a few pieces of it, but there are always more to add. And we’re always looking for more of those pieces, be it anything mentioned above or be it School Affiliation data. So as we enter the 2017-2018 year, keep your eye open for people walking around with clipboards and say hi! And who knows, maybe you’ll be part of one of these charts in the future. Can you believe it looked like this outside when we started the program? On March 1st, we started a room booking pilot program, in response to student requests that we make some of our library rooms bookable. 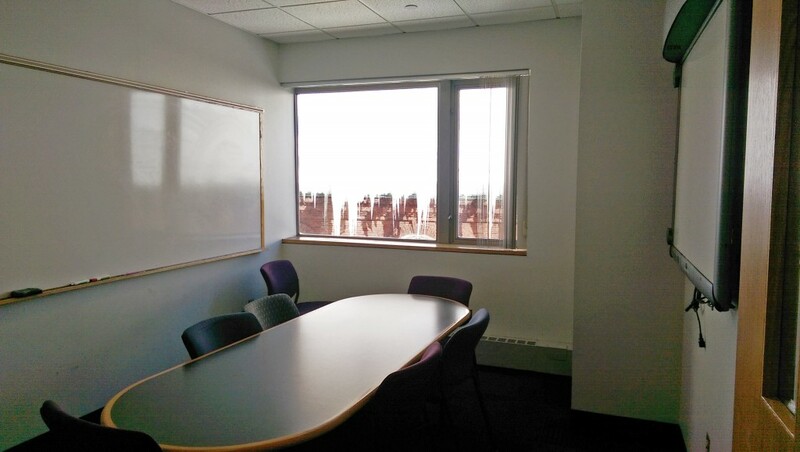 We designated seven rooms on Sackler 5 as our collaboration rooms, set up an online reservation system, and let the collaborating on projects and presentations begin! We’re pleased to report that the pilot was popular and that we will be continuing it through the fall semester. 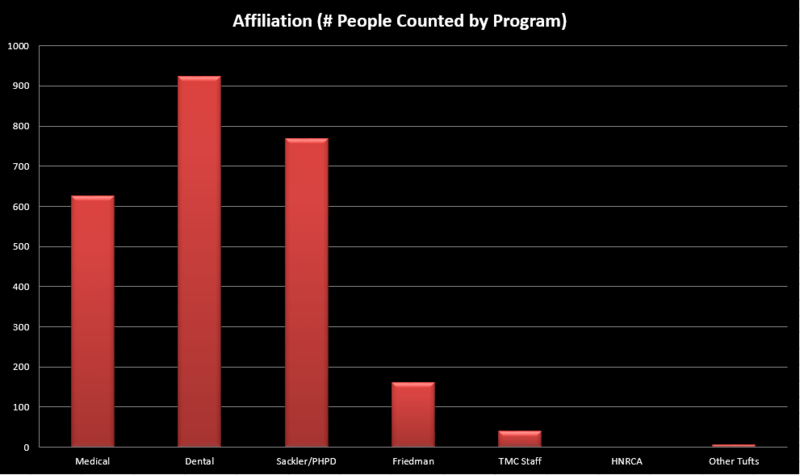 This past October, from the 19th to the 25th, we ran our semi-annual School Affiliation statistics again. This time around, we were able to keep it away from a major exam block, and we also grabbed the circulation data for that time to make sure we got the best picture of the week. Since it was shorter than last time, this post will be relatively quick. But hopefully you’ll still find it interesting! First thing is first: how many people were in the library that week? Well, we counted a total of 3,230 people that week, 695 of which were here on Wednesday alone. You can see the breakdown below. You may notice that everyone loves the 7th floor, and that the Dental school in particular loves the ever-loving-fillings out of it. It’s worth noting that they had some exams that week, which helps explains their numbers. 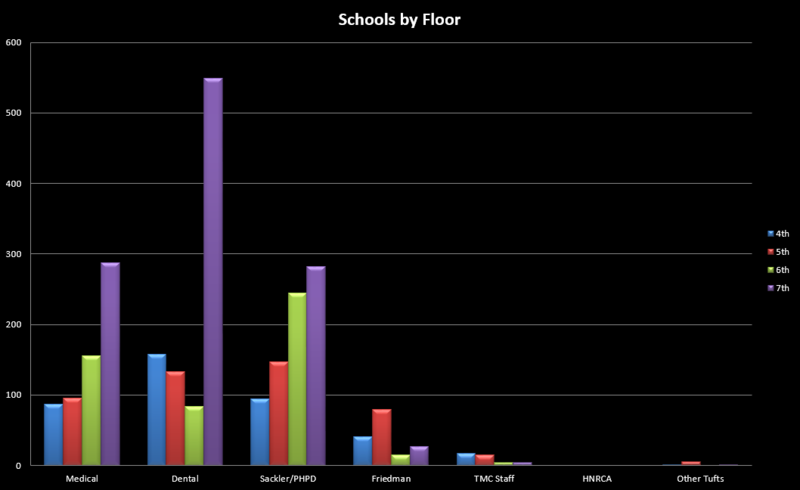 But what’s interesting in that graph is that you can see what kind of exams they were – the kind that required solo study (notice that the quiet floors had the majority of them). In fact, this survey seems skewed toward quieter studying. I look forward to finding out what differences there are come Spring – does April encourage more group study than October? Or was it pure chance that these number shook out this way? 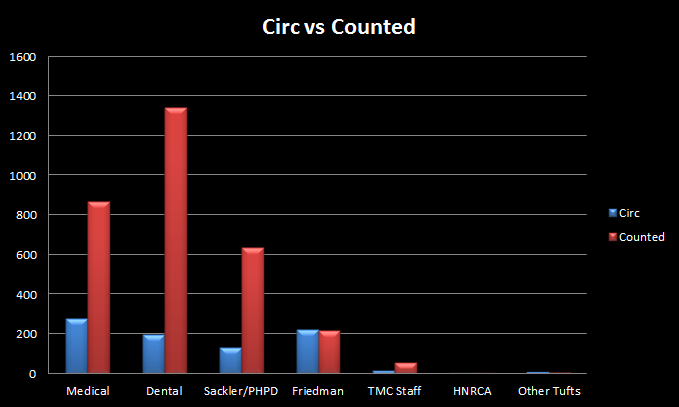 It can be a little tricky to tell due to scale there, but Medical actually checked out the most that week, followed by Nutrition, and then Dental. 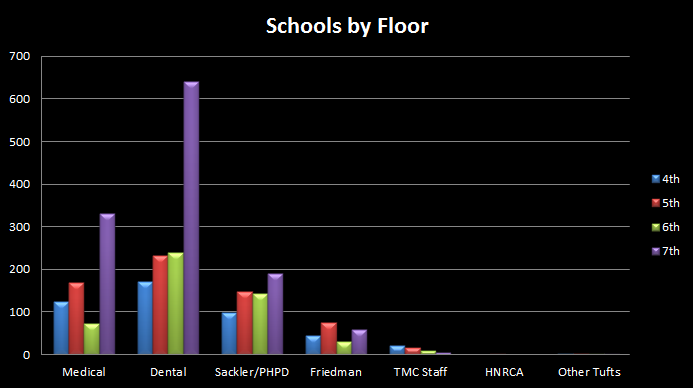 It seems that the Dental students were really here for the studying, not the circulation. And the Medical students were most likely checking things out and then going back to the individual study rooms or learning commons – essentially showing up on one set of statistics but not the other. 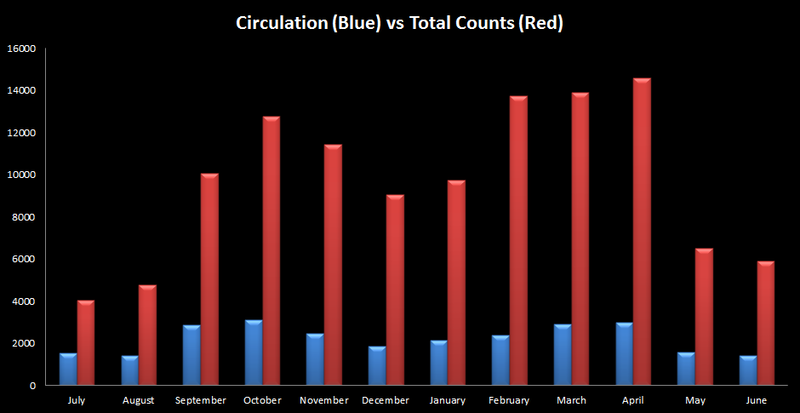 Although Nutrition really made the interesting difference – the circulation number is actually higher than what we counted! 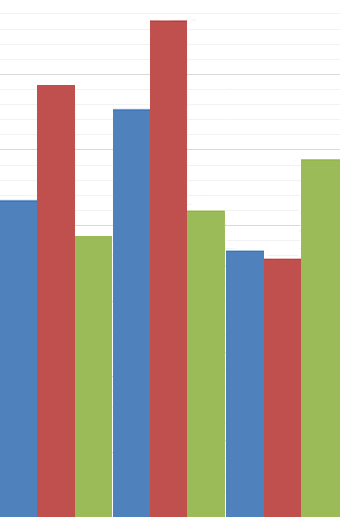 This is why the middle and bottom graphs are uneven when compared to one another – people just simply move around. The library supplies space and materials, but they don’t always get used at the same time. That wraps it up for this time. We could, of course, look at these numbers from a dozen different directions, but maybe we can save that for the next time. After all – it’s only November. 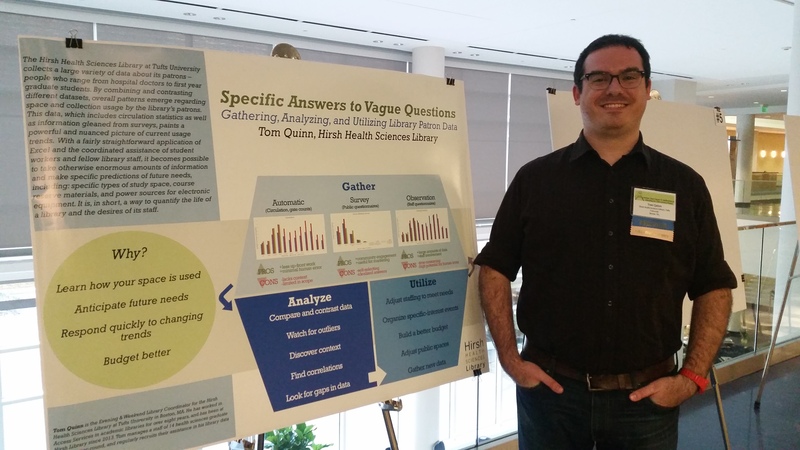 Now that we are approaching the end of summer and creeping closer to the fall start of all of our various programs here on the Boston Campus, we here at Hirsh thought it could be a bit enlightening to take a quick look back at some of the statistics we collected from the last academic year. A good place to start on things like this is with the broad numbers, and then narrow our way down. This past year, we counted 116,521 visitors to our library and circulated items 26,700 times! That’s fantastic! Frankly, we expect the next year to be even busier, because we keep getting new items and re-examining ways to use what we already have; all geared toward assisting you, our patrons (keep your eyes peeled here for those announcements!). Kind of wild, huh? The jump from August to September is crazy (more than doubled! ), but what I found really interesting was how busy we got in the fall when compared to the Spring. That right there is the difference between exams for classes and the dreaded Boards (plus, you know…class exams that let you graduate). Fewer people come to the desk than come to the library as a whole. That’s just the natural way of things. 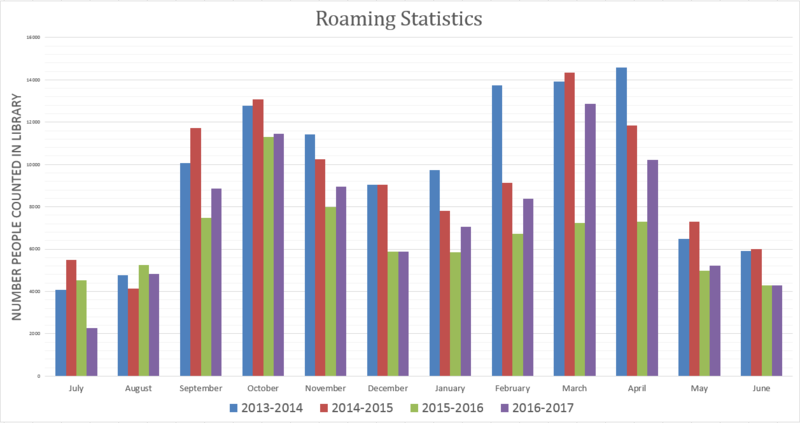 During the year, the amount of people checking things out vs using the library space at all fluctuated between 17.5% and 38%, but in general stayed around 22% – just between 1/5 and 1/4 of everyone coming here. As you can plainly see, the circulation stats follow the same general pattern of the overall counts, but don’t quite mirror them. 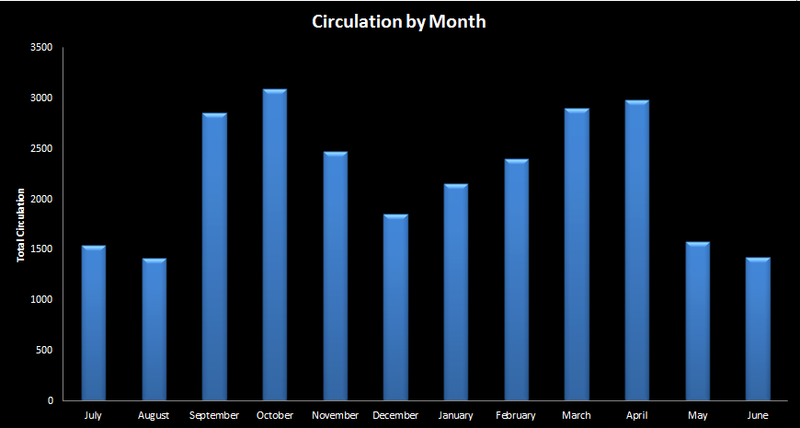 In fact, in terms of circulation, October was actually the busiest month, with 3,095 checkouts. Interestingly, though, October is only the busiest month for the desk. The busiest individual day was actually April 8th, at 220 checkouts even. Second busiest? April 9th, with 205. 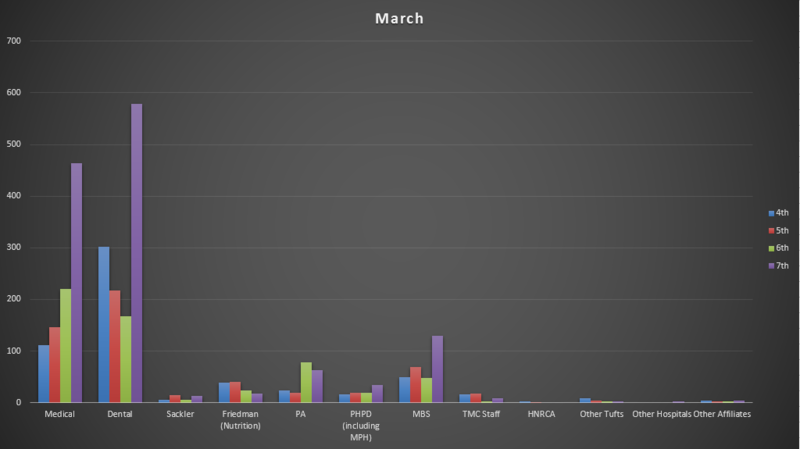 In fact, April accounts for six of the busiest ten circulation days in the last academic year. March and December split the remaining four spots equally. And despite being the busiest month, October doesn’t even appear on the busiest days list until spot number fifteen. What most likely accounts for that is the way exams are spread out. During the fall, it’s steady – one a week, two a week, so on and so forth. But April is final exams, which all get packed up into the beginning of the month, where all six of those days came from. Then it falls off and gets quieter (although not Summer quiet). So April’s a bit more of a flash in the pan than October. Finally, I leave you with these last two bits of information: when we’re busiest at the Service Desk, by weekday and by hour. So if you were ever wondering about the quietest times to come borrow books and equipment, now you’ll know! Have a good summer, and we’ll see you soon!